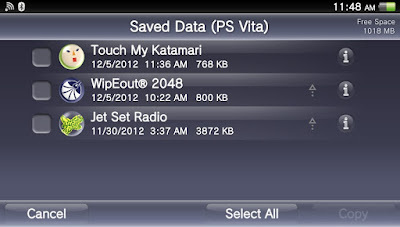 Today developer Rinnegatamante has released a new version of SavedataPlus v.0.8 for the Playstation Vita. Check out the release notes, changelog and the download link provided below. SavedataPlus is a plugin that will redirect your savedata to your preferred partition (ur0, ux0, uma0). Redirected savedata files are also decrypted so can be directly modified to apply savedata hacks/cheats. - Place your preferred .skprx in your tai folder. - Create a data folder inside the partition you want to redirect the saves to. - Add the relative string to your config.txt under *KERNEL. - Saves will be found in PARTITON/data/savegames/TITLEID/SLOT0. You'll have to decrypt your savedata in order to use it with SavedataPlus. You can use rinCheat or vita-savemgr to achieve this. The plugin will work perfectly with Vitamin/maidumptool dumps. At the moment it can cause crashes with retail cartridges or NoNpDrm/.psv dumps. (A game that certainly will crash as retail cartridge/NoNpDrm dump is Rayman Origins).